Frankfurt am Main is a city of roughly 730,000 people, the fifth-largest city in Germany, and also the country's main financial hub. It is a cosmopolitan city that has a vibrant culture, and it will provide much to see and do for any student who wishes to study in Frankfurt. Frankfurt’s claim to fame is its formidable skyline: A number of banking towers loom over the center of Germany’s financial capital, giving it a look unlike any other city in the country. This likeness to New York City earned Frankfurt the tongue-in-cheek moniker “Mainhattan” - by reference to the Main river which flows through the center. Owing to its importance as a financial hub, the European Central Bank also have their headquarters in Frankfurt, which may turn out to be an important factor for the city’s development over the coming years due to Brexit. The city’s uncontestedly most famous citizen was Johann Wolfgang von Goethe, the German author of such masterpieces as Faust or The Sorrows of Young Werther. You can still visit the house where he was born in 1749. The writer is also the namesake to the Goethe University Frankfurt, founded in 1914 and with 45,000 students one of the largest universities in Germany. As a large, traditional research university with a broad spectrum, they offer study programmes in just about any discipline you can imagine. A more practice-based approach is offered at the Frankfurt University of Applied Sciences. It predominantly offers study programmes in German but has been reforming its curriculum in the recent past to be more accessible to international students. With Frankfurt’s exceptional role as a financial city, the Frankfurt School of Finance and Management offers specialised degrees that serve as a direct gateway into the industry. There, a handful of Bachelor, Master and MBA programmes are offered to an intimately small student body of just about 1,500. Advanced students seeking a doctorate degree, particularly in studying either the human brain or neuroscience, can attend one of the local Max Planck Institutes. The Institutes are famous for their world-class research and their contributions to both the fields of neuroscience and the societal applications of such science. The cost of living in Frankfurt is relatively high within Germany. Apartments in the center of the city begin at roughly 850 euros monthly for a one-bedroom; most students will therefore either go for student housing, rent a flat together with other students or seek a cheaper option on the outskirts of the city. 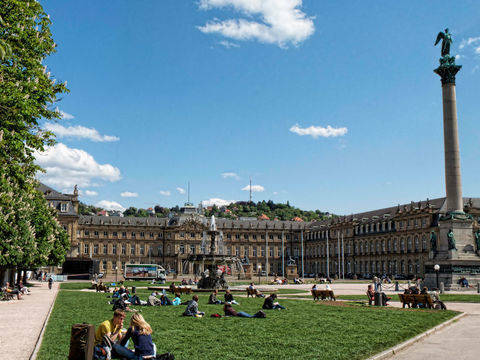 Any student who plans to study in Germany should familiarize himself or herself with the customs of both the city where he or she plans to enroll in school, and of the country at large. Many Germans speak English already, especially in Frankfurt am Main, where the international banks have assembled diverse workforces. But locals will sincerely appreciate even the smallest effort to speak their native language. Even if Frankfurt's nightlife is not as wild or crazy as you might experience near Warschauer Straße in Berlin, it is reasonably diverse and exciting. Of course, you can get a good beer and Kammsteak at almost any pub in the city, and you can dance the night away at Living XXL or Sansibar, which are two of the city's most famous clubs. If techno is more your scene, then Frankfurt is the place for you. The city is world-renowned for its electronic music culture and DJs such as Sven Väth. 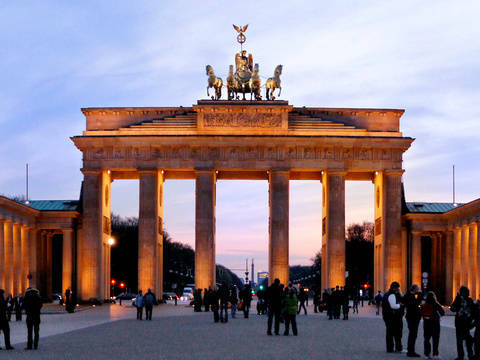 If calmer activities are for you, you can go to the opera, cheer on Eintracht Frankfurt against their arch rivals, Spielvereinigung Darmstadt, during one of their soccer matches or commiserate with the animals at the Frankfurt Zoological Garden. Within Frankfurt, it is easy to get around by train or bus. As a student, you may be eligible for a subsidised student ticket, priced at around 200 euros per month. 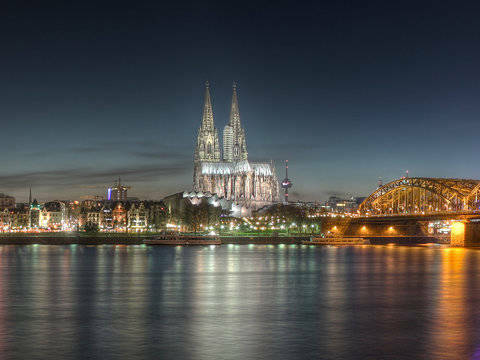 Frankfurt is also well connected via train and bus to Germany’s southern and western regions, making it easy to explore the country - an opportunity not to be missed. Getting into Frankfurt from abroad is relatively easy. Frankfurt Airport is Germany’s largest, and serves as a global hub for a large number of destinations. Another option is the much smaller low-cost carrier destination Frankfurt-Hahn, some 100 km further to the West.